Working for employers such as nursing homes can leave the average CNA without the money to pay even basic bills, in some areas of the U.S. The reality for many certified nursing assistants is that they are considered expendable and as such not worthy of more than $10/hour for their services. This perception issue is complicated by the fact that there are so many CNAs competing for the same jobs, encouraging employers to offer the lowest pay in order to boost their profit margins. However, striking out on your own puts the power squarely back in your corner and allows you to command the salary or hourly pay you desire. Read the steps below to learn how to get started as a self-employed CNA. 1. 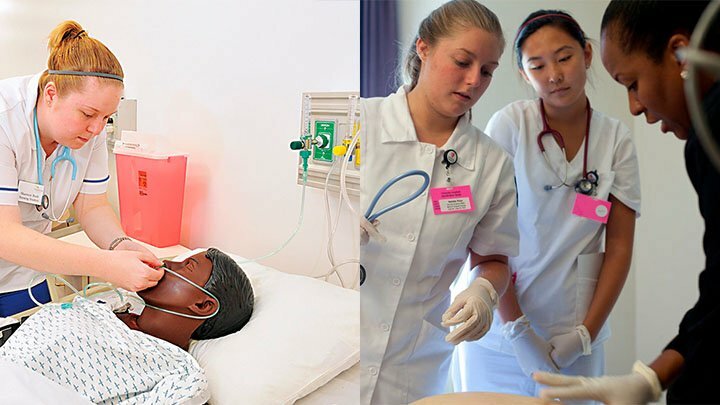 Once you receive your education — either through vocational centers, community learning centers, nursing homes, hospitals or community colleges — you are ready to provide CNA services. 2. Apply to be a licensed independent service provider with the Medicaid/Medicare services board of your state. You can then work for government agencies and anyone who uses these types of insurance, usually after attending short information sessions or classes. 3. Learn the guidelines for companies in your area regarding being their independent service provider. 4. Create marketing materials that properly sell your services. 5. Settle on a proper fee for your services, based on where you live, your skill level and the amount of services you offer. Then bump up that number to maintain your margins in the face of the high cost of your own health insurance. 6. Determine your demographic and market to it with precision. Do not try to be a CNA for every type of client. 7. Ensure your financial and filing system is solid, because you are the only one responsible for the tracking of appointments and bookkeeping. If you need help, hire an accountant.